Demonstrations - Temporary changes to policies, processes or procedures that are piloted to ensure that the change reduces administrative burden without increasing risk or adversely impacting subjects' rights or welfare. 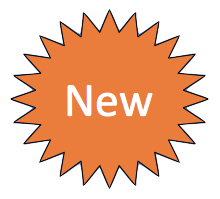 An Overview of Changes document that displays and explains the IRB application enhancements for the pilot. U-M demonstration project starting June 11, 2018. For non-federally funded human subjects research, U-M will pilot some of the 2018 Common Rule enhancements to test the new business processes and eResearch system functionality as a U-M flexibility initiative prior to the proposed federal implementation. The HRPP Policy Innovation & Demonstration Initiative ("Michigan Initiative") is an ongoing effort to review current U-M human subjects protection policies and procedures to reduce administrative burden and streamline processes for investigators and staff. The Michigan Initiative focuses on utilizing the flexibility allowed by federal regulations and identifying standards for areas where these regulations do not apply, while maintaining the ethical standards that form the basis for protecting human subjects in research. For flexibility initiatives, the HRPP, under the direction of the University of Michigan Office of Research (UMOR), and the U-M IRBs work together to develop institutional approaches to reduce regulatory burdens in human subjects research. Since U-M elects to apply its Federalwide Assurance to only research sponsored by federal agencies that require adherence to 45 CFR 46, we are positioned to create alternative processes and procedures for review of non-federally funded human research through flexibility initiatives (a.k.a. "innovation or demonstration projects"). The 2018 Common Rule offers opportunities to reduce administrative burden for both study teams and the U-M IRBs. In preparation to implement the regulatory changes, the U-M IRBs and ITS-eResearch have worked to improve the workflows in the eResearch IRB application. Remove the requirement for continuing review of expedited studies (i.e., minimal risk studies). This pilot will allow U-M to evaluate business process changes, validate burden-reducing efforts, and test changes to the IRB application prior to the implementation of the 2018 Common Rule. The new version of the IRB application will display for all studies. 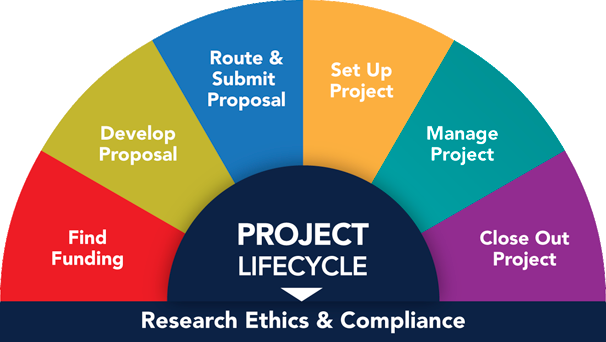 For projects with federal funding, or for those that are FDA-regulated, and therefore not eligible to participate in the pilot, the IRB teams will work with the study team to ensure the projects continue to receive the correct type of review and outcome determination. Renamed the Standard application to "Human Subjects research involving interaction or intervention" (a.k.a. "Interaction/Intervention") to reflect its use for all research involving an interaction or intervention. Enhanced (and renamed) Secondary Research application for projects involving only secondary analysis of data/biospecimens (regardless of review path). Removal of the Exempt application, as exempt projects will now be covered by either the Interaction/Intervention or Secondary Research application types. Exemption questions, workflow, and the related exemption review path options (i.e., Self-exemption, Limited IRB Review, IRB Determined) are now embedded within two application types: Interaction/Intervention for exemption categories 1, 2, 3, 5, and 6 and Secondary Research for exemption category 4. See the Exempt Human Subjects Research Decision Trees for details. Note: U-M will not pilot 2018 Common Rule exemptions 7 and 8. Requests for review by a non-UM IRB. Scheduled Continuing Review (SCR) - authorization for qualified IRB-HSBS staff to conduct expedited review of non-federally funded research. Project types not required IRB oversight (see the HRPP Operations Manual, Part 4). Expanding the interpretation of federal exemption category #5 to cover public benefit and service programs sponsored by the State of Michigan. The research must be determined to pose no more then minimal risk to subjects. Ability to monitor the projects. No increase in effort required for investigators. Federal regulations require continuing review of research at least annually, depending on the degree of risk to the subjects. For research projects posing no more than minimal risk to subjects, U-M postulated that lengthening the review period beyone one year was unlikely to increase risks to subjects. eRRM Overview of Changes - Flexibility Initiative ITS eResearch document outlining the changes to eRRM system to implement flexibility initiative to pilot the 2018 Common Rule for non-federally funded human subjects research. IRB-HSBS tip sheet outlining key changes to the exempt application and related processes implemented for the HRPP Flexibility Initiative. IRB-HSBS tip sheet outlining key changes to the secondary use application and related processes implemented for the HRPP Flexibility Initiative. The HRPP encourages members of the research community to suggest new innovations and demonstrations. Contact hrppumich@umich.edu with your ideas.